2015 Eden Hall Reserve Riesling – 95 points. 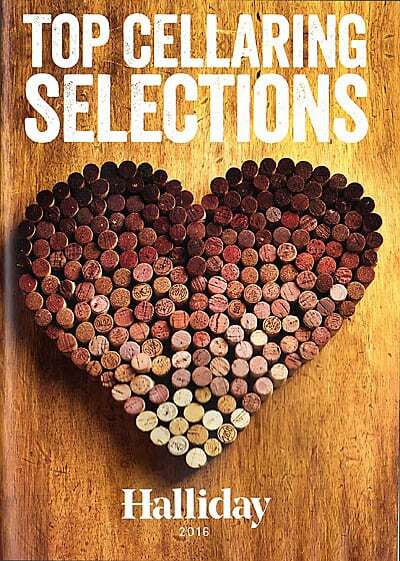 Halliday 2016 Top Cellaring Selections. Pale quartz-green; a beautifully delineated riesling, the gently flowery bouquet opening the curtains for a super-intense and finely structured palate driven by lime/lemon fruit, crisp acidity and a faint touch of CO2. 11.3% alc. 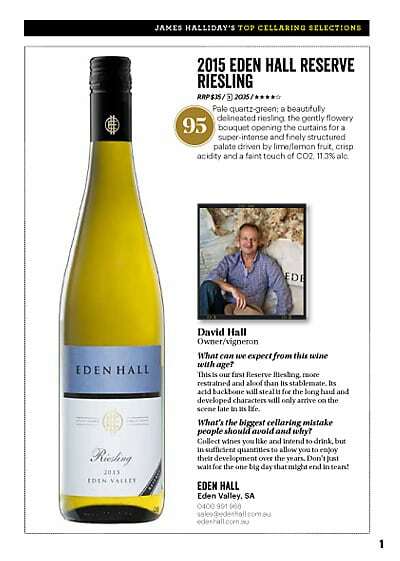 2015 Eden Hall Riesling Voted 4th best wine of the year.